I love magic cookie bars. You know, those delicious bars made with graham crackers, sweetened condensed milk and all the other goodies?? I'm sure you know what they are, although I've found over the years that everyone calls them something different. Well around here they are known as magic cookie bars and my family loves them. When my oldest son was younger he would always request that I make them for his birthday treat to take to school. He always came home with an empty pan. I decided to transform the old recipe for magic cookie bars into something new. Something sweet and delicious with our favorite flavors. Using Biscoff cookies as the base was definitely a genius idea. They make the best crust. Ever. Using coconut oil instead of butter takes it to another level as well. And makes it just a touch healthier. If that's possible with this indulgent treat. This dessert is simple to make and can be in your oven in 5 minutes or less. Whip up a batch this weekend and enjoy with a cup of hot coffee. You won't be disappointed! 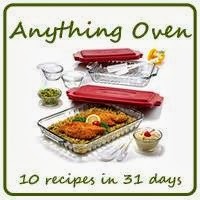 Heat the oven to 350 degrees and spray a 13x9-inch baking pan with non stick cooking spray. Make your Biscoff cookie crumbs by pulsing 26 cookies in the food processor until they are small crumbs. Combine the cookie crumbs and coconut oil and mix well, then press into the bottom of the prepared pan. Pour the sweetened condensed milk evenly over the crumb mixture. Sprinkle the butterscotch and chocolate chips evenly over the top, then sprinkle with the coconut and pecans. Using a fork, press everything down firmly. Bake the bars for 25 minutes or until lightly browned on top. Cool completely then cut into small squares. Store the bars covered at room temperature.